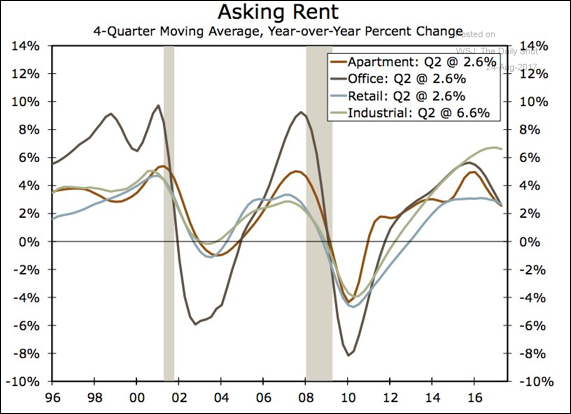 The United States: US commercial property rent increases seem to have peaked. 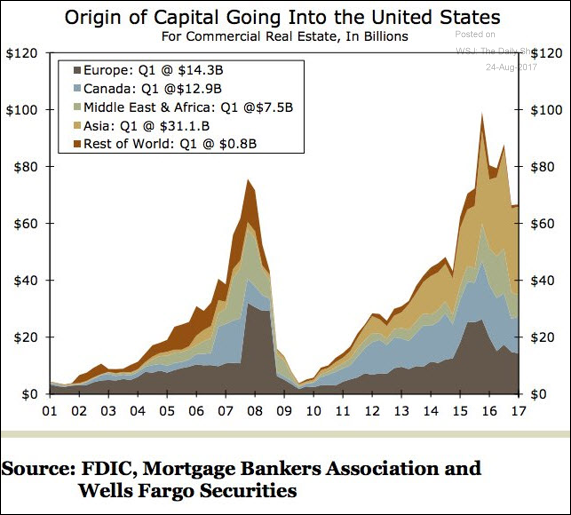 Foreign capital inflows into US commercial real estate have peaked as well. Here is the breakdown by origin. 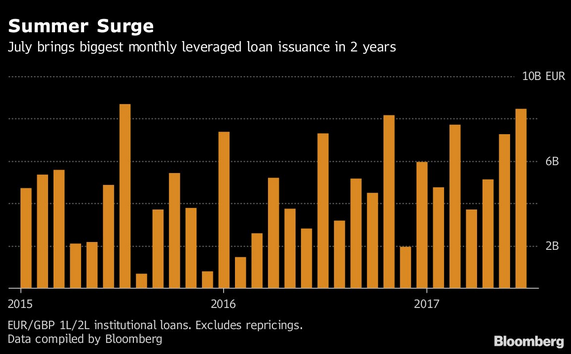 Credit: Leveraged loan issuance hits the highest monthly volume in two years. Equity Markets: Fund outflows from US equities accelerated while inflows into global stock funds have stalled (“ETP” = exchange traded product, “MF” = mutual fund). 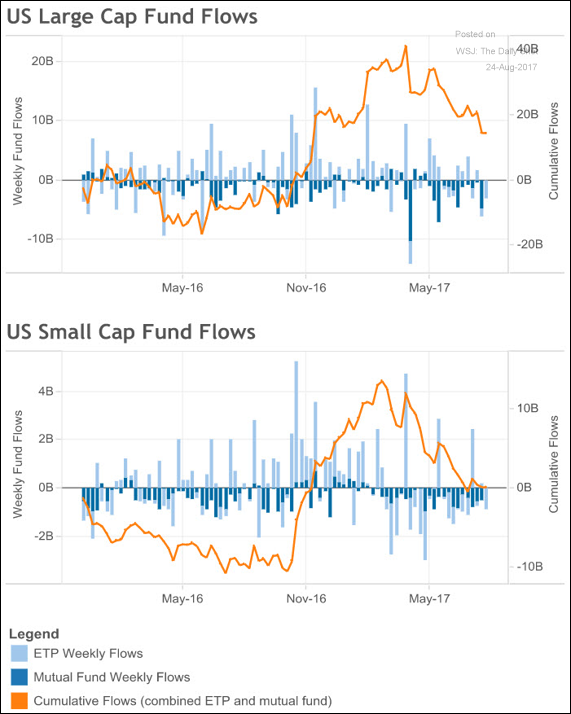 Here are the fund flows for large and small-cap US funds. 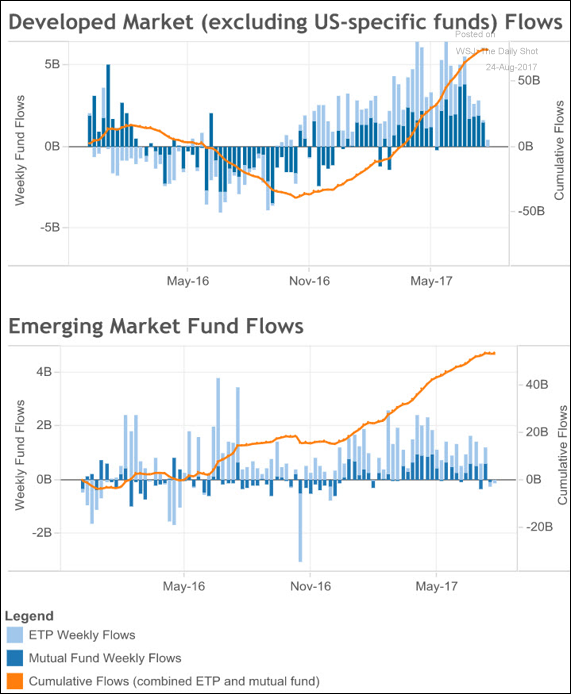 And this chart shows fund flows into (non-US) developed and emerging markets. 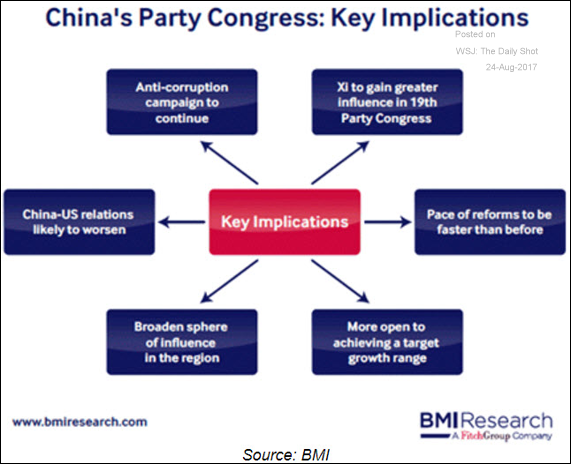 China: What are the implications of the latest Communist Party congress? 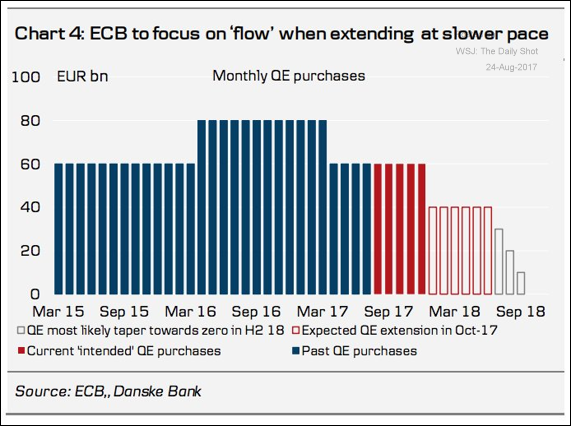 The Eurozone: Here is a forecast for the ECB’s QE tapering. 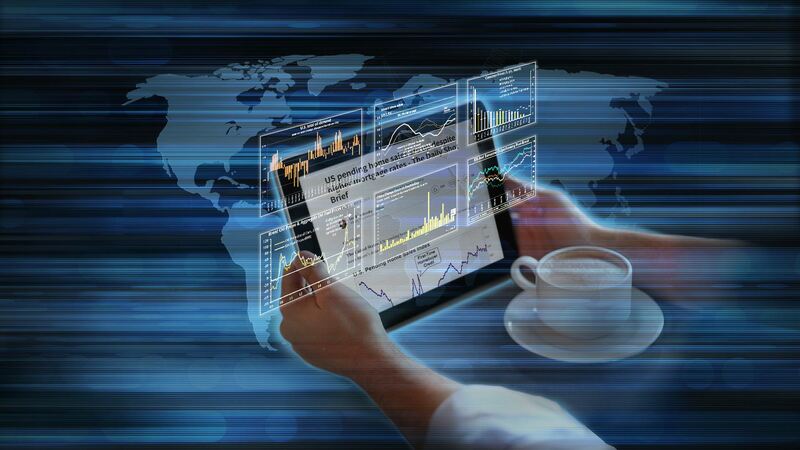 This, combined with improving economic growth (#2 above) should support the euro. 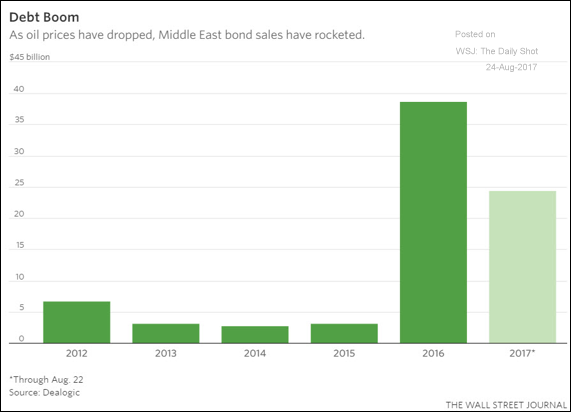 Emerging Markets: Debt issuance in the Middle East surged since the decline in oil prices. 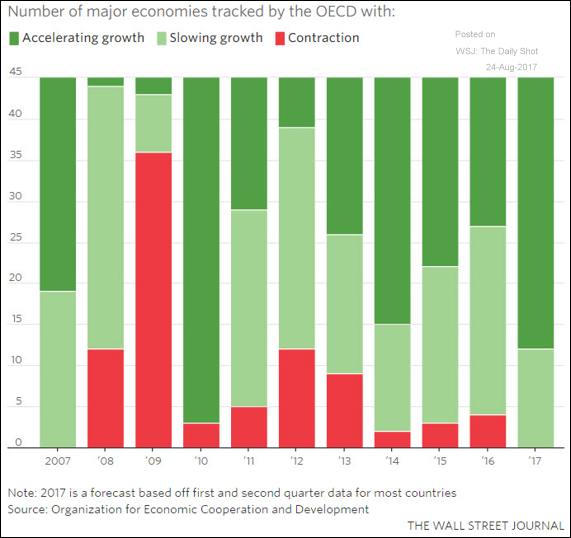 Global Developments: For the first time in a decade, all OECD economies are expanding. 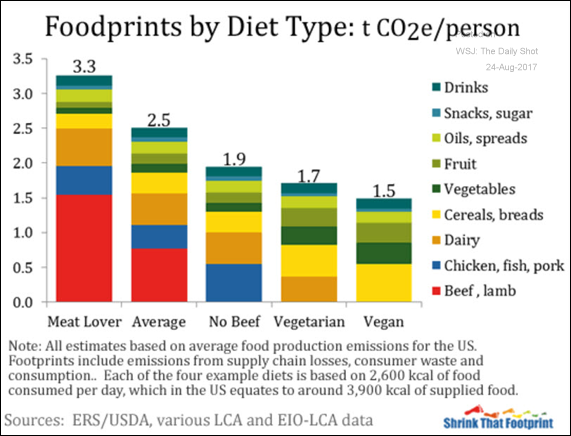 Food for Thought: What is the “carbon intensity” of different foods? 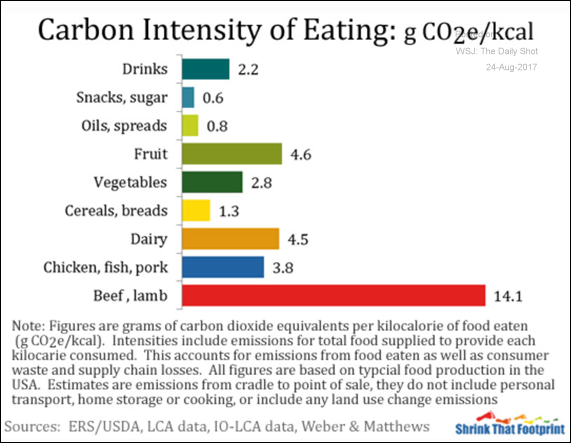 How does this intensity translate into the carbon footprint for different diets? The next Daily Shot Brief will be out on Monday, August 28th.